Resonant Absorption as Mode Conversion? 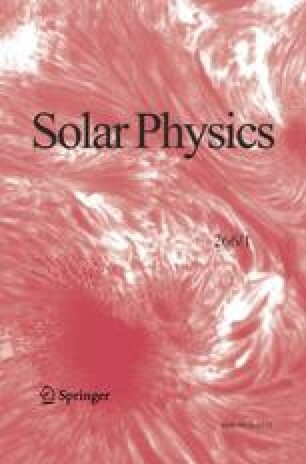 Resonant absorption and mode conversion are both extensively studied mechanisms for wave “absorption” in solar magnetohydrodynamics (MHD). But are they really distinct? We re-examine a well-known simple resonant absorption model in a cold MHD plasma that places the resonance inside an evanescent region. The normal mode solutions display the standard singular resonant features. However, these same normal modes may be used to construct a ray bundle which very clearly undergoes mode conversion to an Alfvén wave with no singularities. We therefore conclude that resonant absorption and mode conversion are in fact the same thing, at least for this model problem. The prime distinguishing characteristic that determines which of the two descriptions is most natural in a given circumstance is whether the converted wave can provide a net escape of energy from the conversion/absorption region of physical space. If it cannot, it is forced to run away in wavenumber space instead, thereby generating the arbitrarily small scales in situ that we recognize as fundamental to resonant absorption and phase mixing. On the other hand, if the converted wave takes net energy away, singularities do not develop, though phase mixing may still develop with distance as the wave recedes. The online version of this article (doi: 10.1007/s11207-010-9612-6) contains supplementary material, which is available to authorized users.